Indulgences for Dead Ideas Now 30% Off! Hurry before YOUR Ideas Die Too! When a number dies, does its soul go to Infinity? pointing to an unsightly bulge in its trunk. a little racist perhaps, but full of its own quaint wisdom. But woe to their siblings in Purgatory! like ghosts, forever frustrated by hard cold evidence. 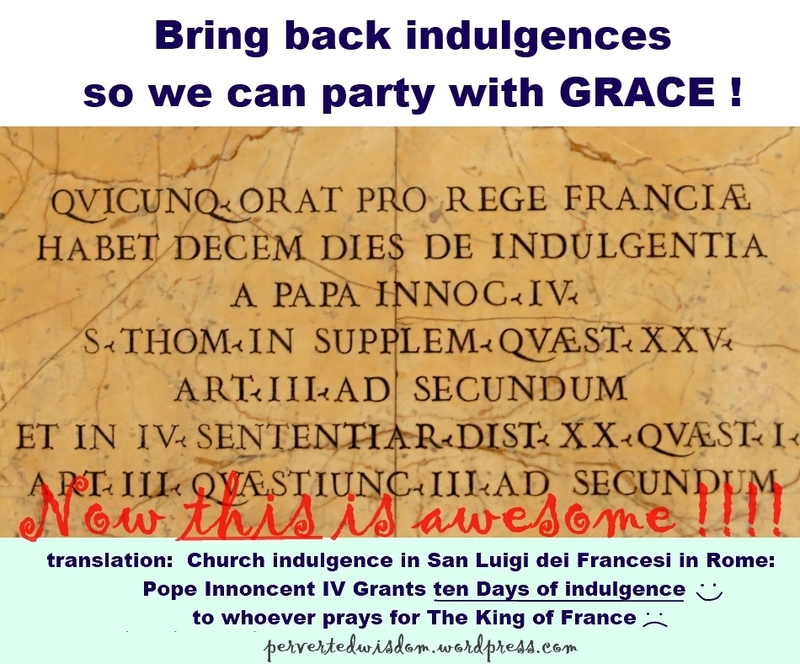 This entry was posted in humor, philosophy, poetry and tagged indulgences, papacy, partying by Alan Brech. Bookmark the permalink.